There are many great programs available today to help fund charitable entities like MTRA. Below are several wonderful ways you can donate to MTRA without spending a penny more than you would already spend. We encourage you to support these terrific retailers and other supportive entities who donate to our efforts. GREAT NEWS: If you have signed up for both iGive and Smile.Amazon.com, start your online shopping trip at http://iGive.com/amazon and BOTH organizations will give a percentage of your sale to MTRA! iGive: You shop, MTRA wins! With hundreds of brand name stores like Target, Vistaprint, 1-800-flowers, 1-800-Pet Meds, Ace Hardware, Macy’s, Fandango, Kmart, Amazon, the Apple Store, BestBuy and many others, you can be putting a little hay in the manger with every purchase you make online! Just sign up, install the iGive widget in your browser, and iGive will be happy to send a percentage of your purchase to MTRA. Click on the iGive icon at left to sign up to shop for MTRA! iGive is donating $5 for every person who joins iGive and uses the widget by MARCH 20, 2015 for the first time—all you have to do is try iGive! Amazon Smiles on MTRA: Start your Amazon shopping at Smile.Amazon.com and a percentage of your total is donated to MTRA! Even if you’ve forgotten and already started shopping, you can still jump over to smile.amazon.com and your items will still be in your cart. Sneak-e-Snacks All Natural Horse Treats are one of Ocala’s greatest treasures! Loved and happily consumed by equines all across America and handmade right here in beautiful Ocala, Florida, we are grateful to the Sneak-e-Snacks family for donating a portion of their sales to MTRA. To order your Sneak-e-Snacks in either Original or Show Safe versions, go to their website by clicking on the logo at left, and when you checkout use the code MTRA. They will donate 5% of your purchase total to MTRA! 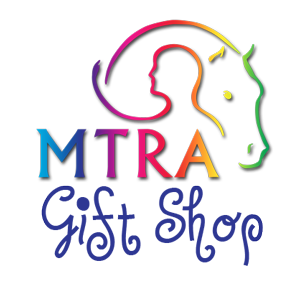 Buy your MTRA branded merchandise at our MTRA Gift Shop on Cafepress! Offering shirts, jackets, hats, canvas bags, smartphone and iPad covers, and just about anything else you can put an MTRA logo on, this is a great place to shop for gifts for your favorite MTRA volunteer–or for yourself! Love to Shop or Sell on eBay? We do too! If you’re an eBay registered seller, you have the opportunity to choose MTRA as your charity and donate a portion of the proceeds of the sale of your items to MTRA as you create your listing.